Couldn't pass up the opportunity to make a quick trip to Hawaii and play at the 90th anniversary of Hawaii Theatre next month. I always love being a part of this group of musicians trying to get more recognition for indie music in Hawaii. It's going to be fun and it's FREE. 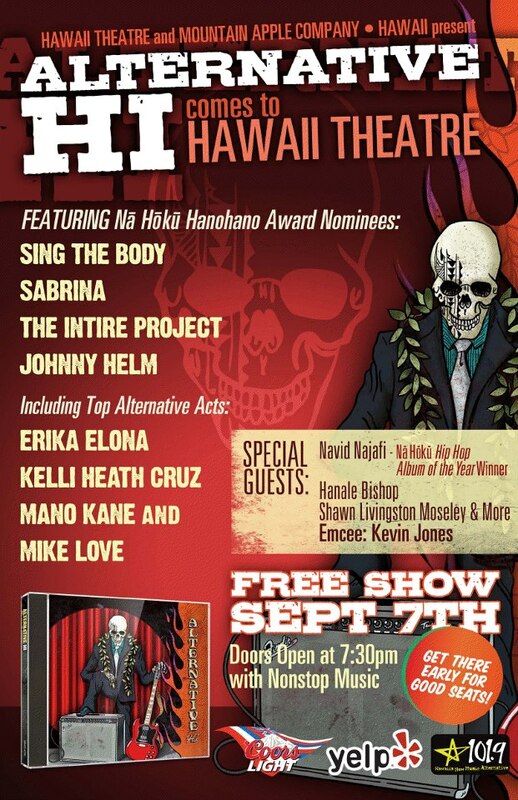 So there is really no reason for you not to attend if you are in the 808.